First, I want to thank Celia for her excellent guest posts! We’ve all enjoyed knowing more about life in NYC, and I have really enjoyed her photos. She and Jeff will be crazy busy all through the school year but perhaps Celia will have time to check back in with us over the winter :-). Now, about our busy Sunday… Last night Steve and I were sitting by the pool, looking at the fence and we decided that we should water seal it. I remembered doing this job with a sprayer and that it wasn’t so bad so we decided that we would get up and do it today. And we thought we could do Mom’s fence too. Silly us. 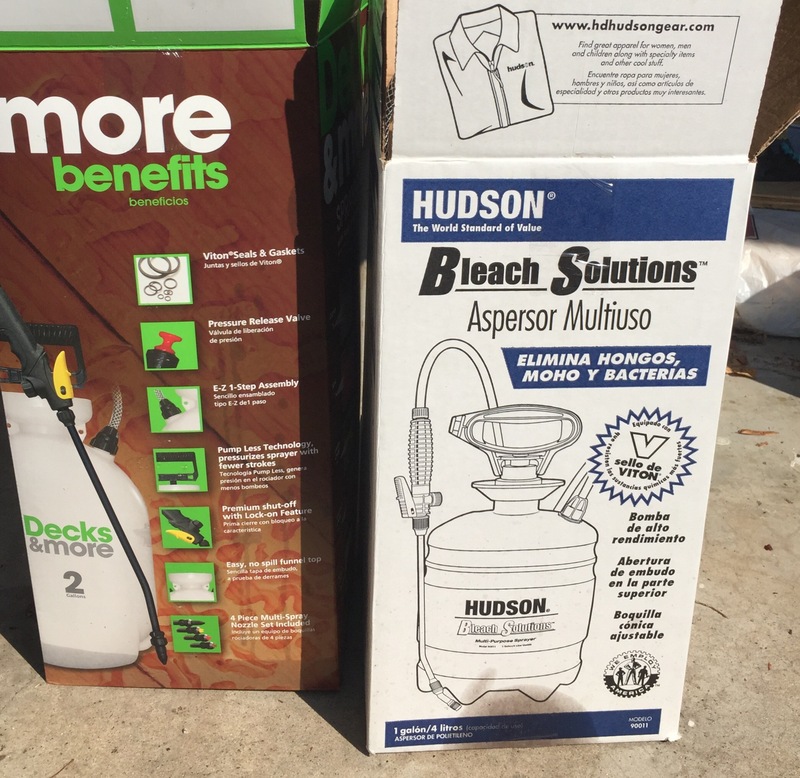 At 7:45 AM Steve went to Lowe’s for a big can of Thompsons water seal (TWS). 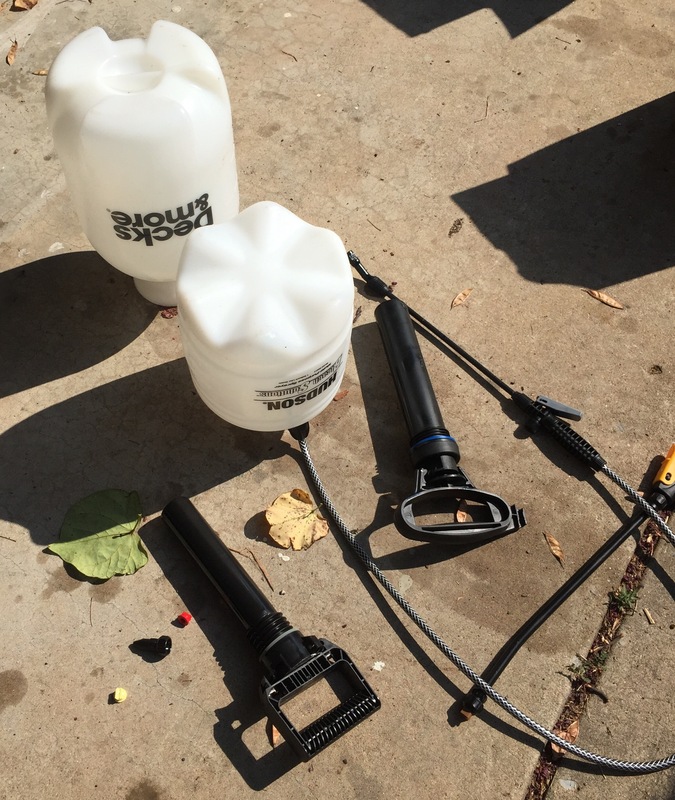 He had checked our pump sprayer and it worked, but sadly as it turned out, not with the TWS. Ours sprayed a jet, not a mist. Back to Lowe’s once, and then again. We tried both of these to no avail. Deep sighs all round. 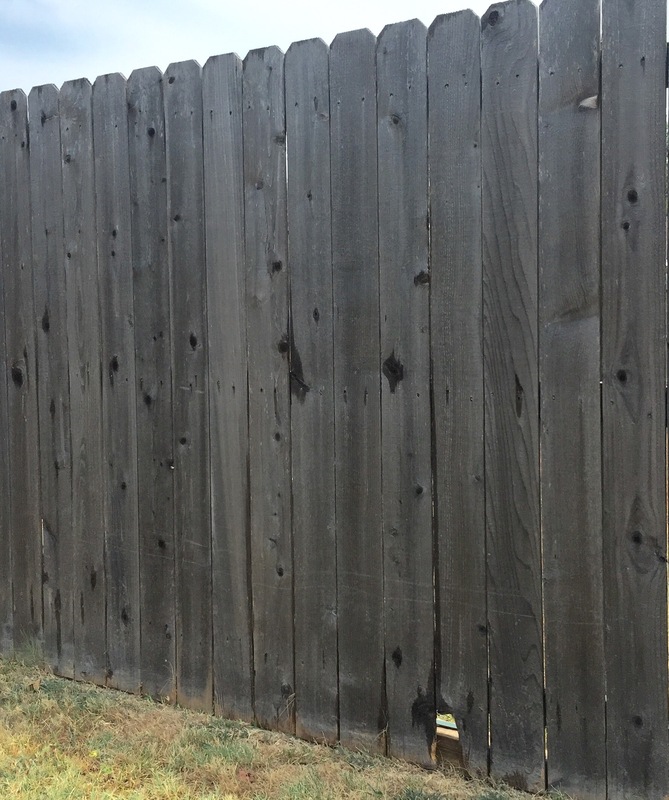 We couldn’t use a roller on the outside of our fence because it’s not flat. Instead I used a wide brush. As I worked, memories started coming back to me. The last time we did this the same thing happened! How could I have forgotten? Note to self: forget the sprayer. It got hot. I put on sunscreen and a hat and powered on. Even behind the bushes. 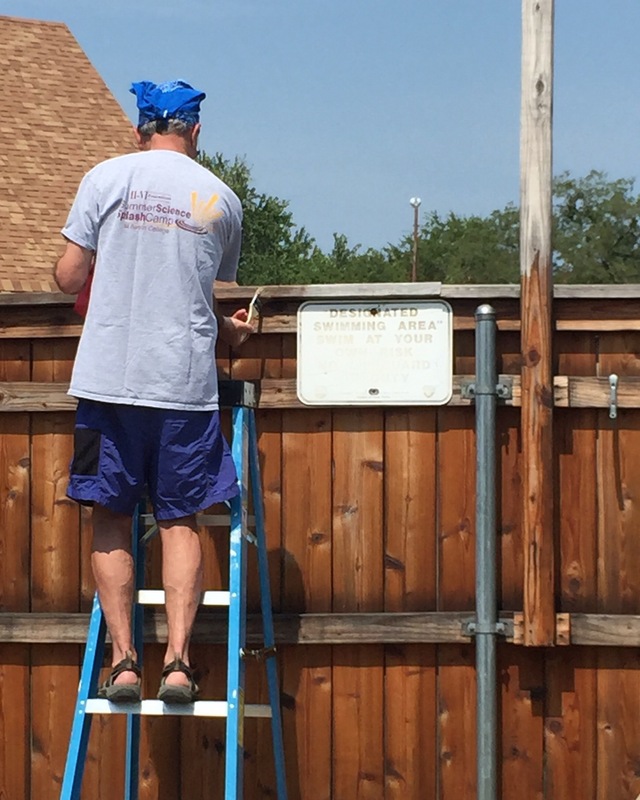 Steve worked on the inside of the fence with a roller and brush. I joined him and we were making good progress. Clouds rolled in, it got cooler! Yay! And then it started to look like rain. At any other time we would have cheered. More sighs. We ran out of TWS and Steve went Back to Lowe’s. It started to sprinkle, then rain but we were so close to finishing and the rain wasn’t hitting the fence so we finished what we could and tidied up. The sun came out and after a couple of hours it was dry enough for Steve to finish the very top of the fence. We used clear TWS but it still changes the color of the wood. It’s brown again! If we’re lucky, we won’t have to do this again for 2-3 years. 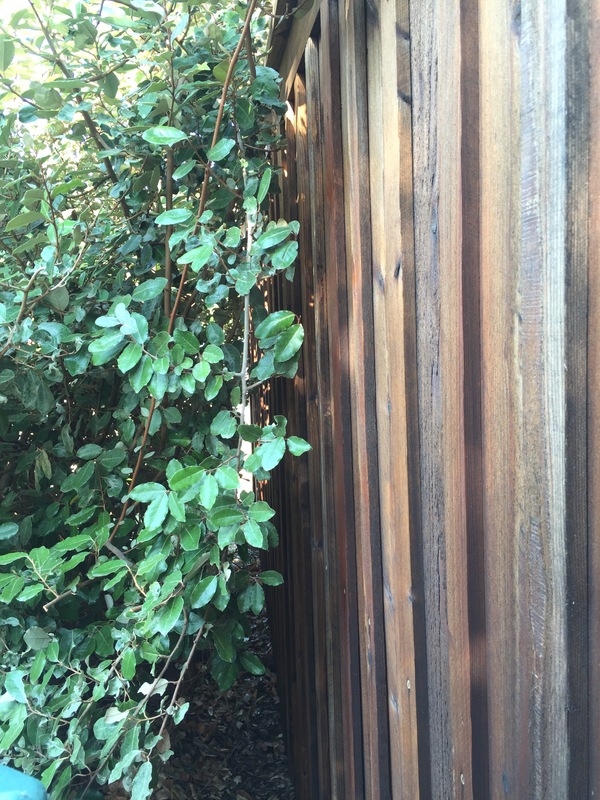 It’s worth the effort because it lengthens the life of the fence, but it is not a fun job. Moms fence awaits. It is flat on one side and can be rolled so it’s faster but we’re going to wait until it’s cooler. PS: We celebrated with ice cream at Braum’s! 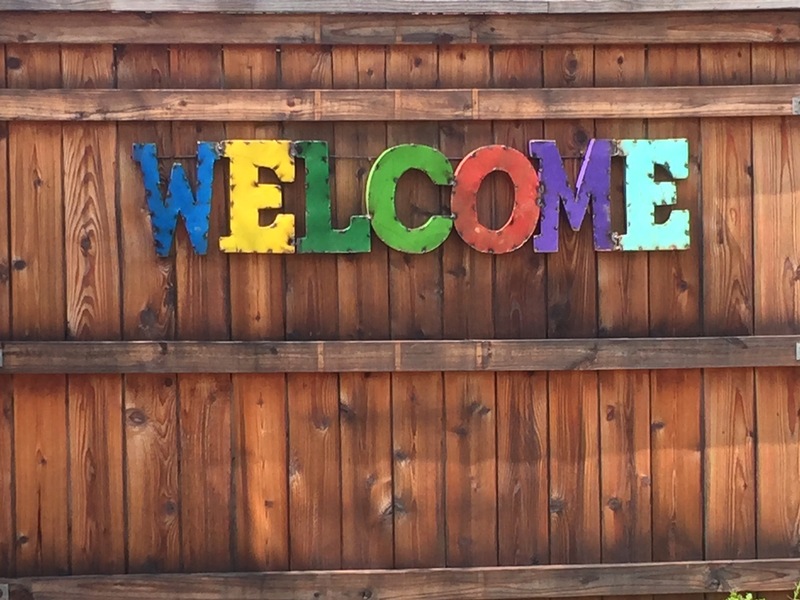 This entry was posted in Fitness, Home Improvement, This and That and tagged fence, home improvement by Becky Goldsmith. Bookmark the permalink. I don’t know where you get all your energy! I know it feels great when a big job is finished !! And working for ice cream isn’t a bad idea. You used all the calories and just replaced some of them !! 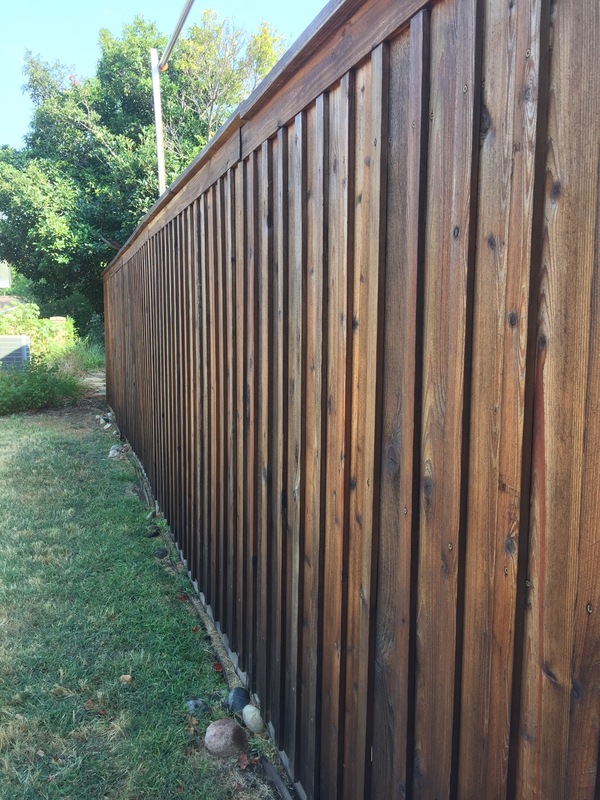 Thanks for the tips on painting a fence like yours. Also, thoroughly enjoyed seeing you on The Quilt Show. Great applique instructions. Hope to see you in Hawaii on your next visit. Quite a project! It turned out really well, so I know it was worth the effort. It is too hot to be painting fences. I am waiting for Oct. to paint our pergola. Thanks for the color lesson on The Quilt Show.